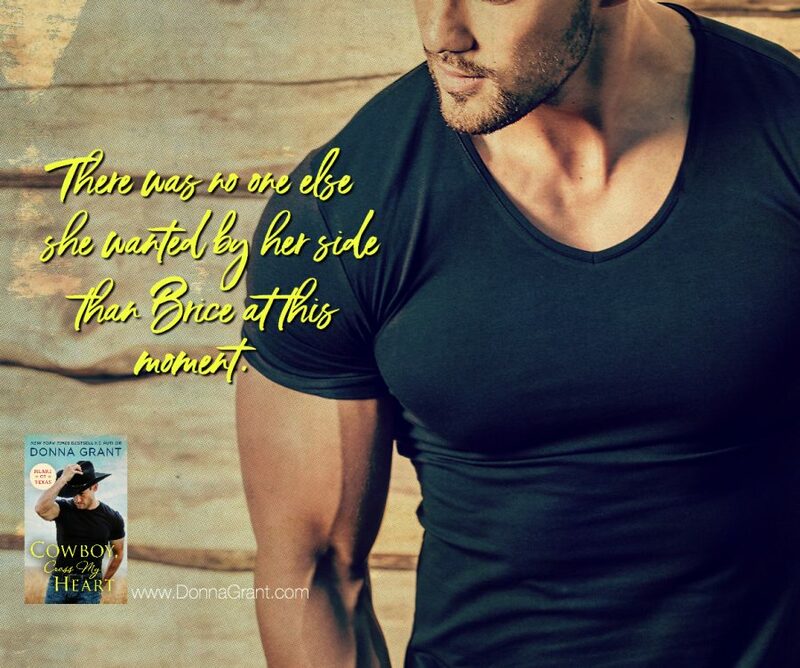 St. Martin’s Press and New York Times and USA Today bestselling author, Donna Grant, are revealing a teaser from COWBOY, CROSS MY HEART, the third book in the adult contemporary western romance series, Heart of Texas, releasing August 28, 2018. See below for information on the book, pre-order links, and the exclusive teaser. Brice Harper is all man, all muscle, and all heart. From the moment he rides into the stadium, he can’t help but notice the beautiful stranger with a camera watching him from the stands. It doesn’t take a zoom lens to see the sparks of instant attraction. But things really heat up when he meets Naomi up-close―and he discovers that someone is stalking her friend. Brice wouldn’t be any kind of cowboy if he didn’t offer to help the ladies out. 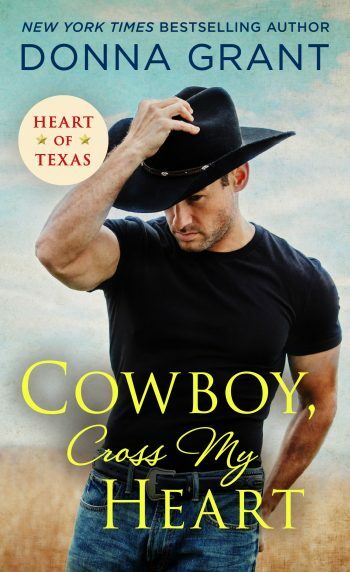 But can the rough rider keep this spirited shutterbug out of danger―without risking his heart? New York Times and USA Today bestselling author Donna Grant has been praised for her “totally addictive” and “unique and sensual” stories. Her latest acclaimed series, Dark Kings, features a thrilling combination of dragons, Fae, and immortal Highlanders who are dark, dangerous, and irresistible. She lives with her two children and an assortment of animals in Texas. Visit Donna at www.DonnaGrant.com.